I read this book over and over again as a child. It was my all time favorite! I don't get why it was banned either. It doesn't make sense! I didn't even know this had a sequel until two years ago!! I have to do a re-read and then read the sequel! I wonder if the concept of the book makes people feel squeamish - especially since dystopias are in part a social commentary? Otherwise seems a weird choice to me. HH-- I was wondering that as well! That was honestly the ONLY thing I could think of that would make people want to ban it! I'm going to be re-reading this book. Did you know it was a series?? I've never read this book, although I heard a lot about it, but it seems similar to her other book "Gathering Blue." An excellent writer, maybe just a bit too controversial for some people? Yes, it's the first in a trilogy. I didn't know that, either! Granted, I read this when it came out, and then I was "too old" for children's books when the other 2 came out...glad I no longer am! The reason it's been banned is because it puts communism in a positive light, something like that. It has to do with the perfect society that they live in, even though that completely misses the point of the book. LOL--Agreed Tahleen! They clearly didn't read or understand the point of the book if that is what they take away from it! I haven't read the book (yet) but as someone who has, do you agree? Hmm, now that I'm looking for concrete evidence of why it was banned, I can't find any mentions of communism. I swear I read it somewhere. But I'm mostly seeing its use of euthanasia and suicide as the reason. I sometimes find that with banned books too. Madame Bovary was no where near as bad as I was led to believe it would be! I love The Giver! Has to be one of the first dystopian YA books, and still one of the best. Love the creative idea of passing along the memories, and the whole community is fleshed out really well for being a fairly quick read. I knew there was a sequel but have never read it. 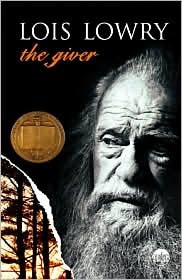 I'm in the middle of rereading The Giver, so maybe I'll pick up its sequel soon while it's fresh in my mind. I haven't read this book since 6th grade, but I loved it. I actually just read the sequel over the summer, and it was also good. My sister has the third book, so hopefully I'll get to read that when I get back home!